Trabeculectomy is recommended to treat glaucoma when more conservative treatment such as medication or laser do not provide adequate pressure control. In glaucoma, eye pressure causes damage to the optic nerve. With damage to the nerve, there can be irreversible loss of vision, and sometimes blindness. Fortunately, there are many excellent treatments for glaucoma that can prevent or stop vision loss. Generally we start treatment with medicated eye drops. Patients are treated with one or more drops to lower eye pressure. Unfortunately, drops don’t always lower eye pressure enough to protect a patient from further nerve damage and vision loss. Sometimes laser is an option, but laser does not work for everyone, and may not lower pressure enough. For that reason, a trabeculectomy is often the next step in treatment of glaucoma. * Vision – Sight may take several weeks before it returns to normal . 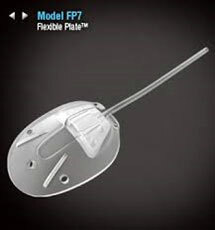 Some patients will find their vision is ot quiet as sharp after surgery. The benefit is slowing (or stopping) the rate of deterioration of glaucoma. 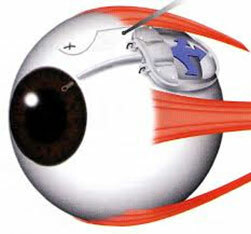 However the operation cannot be totally guaranteed to stop the loss of vision in your eye. Eye surgery for any condition ALWAYS carries a small risk that vision may be worse or the eye may become bind after the operation. * Bleeding – There is a small chance of bleeding inside the eye immediately after the surgery ( called suprachoroidal haemorrhage) .This may require further treatment and may ultimately result in loss of sight . 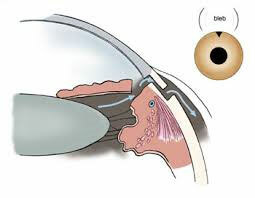 * Cataract – There is a resonable chance that a cataract may develop some years after the surgery. This may require an operation. 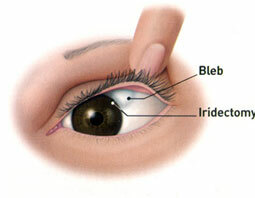 * Droopy Eyelid – Eyelid may become droopy on side of operation. The vast majority of tube shunt procedures are successful and prevent the progression to blindness that can occur with glaucoma. Nonetheless, it is important for you to understand the risks and benefits before electing a tube shunt surgery. Any of the complications described below can occur even with the best surgical techniques. resume glaucoma medications down the road, or even right after surgery. In addition, sometimes a repeat surgery is required. Also, despite successful surgery, your vision may become worse from continuing degenerative changes in the eye. Cataracts may be accelerated by any of these operations. Fortunately, cataracts are relatively easy to fix surgically.